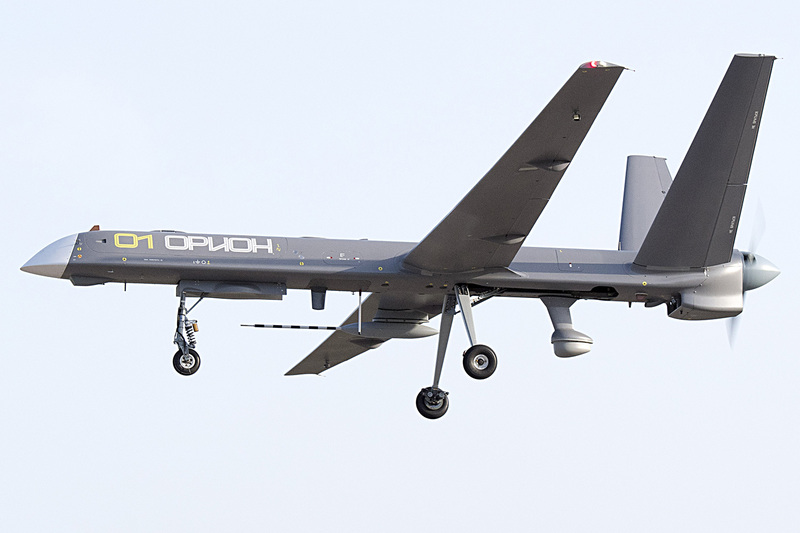 The proliferation of Russian unmanned aircraft hasn’t attracted enough scrutiny even if these played vital roles during recent military campaigns in Eastern Ukraine and Syria. A truly remarkable MALE drone unveiled in 2017 is the Kronstadt or Kronshtadt Group‘s Orion-E that’s tailored for intelligence gathering. While it can be mistaken for a “Western” airframe at first glance, the Orion-E simply conforms to a familiar layout that includes a broad wingspan, tricycle landing gear, a V-tail, and a turbopropeller engine at the back of the fuselage. 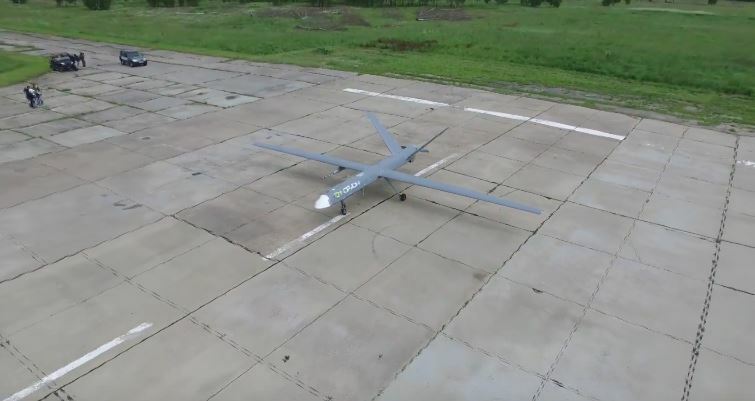 Although the Russian military deploys multiple drone types for various purposes, these are often handheld models with limited range. The Orion-E bucks the trend, however, and offers optimum performance compared to its peers. Take note of the Orion-E’s scale compared to the observers at the runway’s edge. Since the Orion-E isn’t too well-known–it doesn’t seem to have any customers yet–there aren’t any open sources that reveal the extent of its performance characteristics. Its manufacturer did publish a few crucial figures when it was first shown at the MAKS airshow last year. Weighing less than half a ton, the Orion-E’s undisclosed engine type gives it a range of 250 kilometers but with an undefined top speed. Its flight ceiling is very impressive at 24,000 feet from the ground and it can remain airborne for up to 24 hours. These traits puts the Orion-E somewhere close to its lookalikes such as the Anka and the Watchkeeper. A startling resemblance to the Chinese CH-5 is also apparent but there’s little proof of a joint venture that could have resulted in the Orion-E. Other sources claim it shares unspecified commonalities with an Iranian UAV. Whatever its true origins, it’s hard to figure out which parts are imported versus the parts sourced locally. The Orion-E during flight. It’s equipped with an EO/IR gimbal. 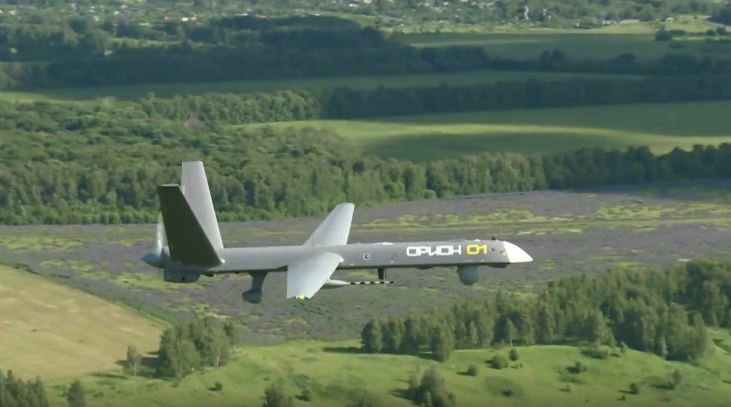 Kronstadt Group’s experience in developing UAVs during the 2000s makes the Orion-E a culmination of sorts. Unlike its previous efforts with the “Dozor” series of reconnaissance drones the Orion-E is more streamlined and can be outfitted for three mission types. Aside from the radar antenna installed behind the landing gear, a gyro-stabilized electro-optical and infrared gimbal fits under its nose. It’s also possible to add a stationary high definition camera in a compartment located between the front and back landing gears. Another combination is replacing the gimbal with a terrain mapping module. When a separate laser designator is attached where the gimbal is located this allows the pilot to map entire areas and identify specific details. To summarize, the Orion-E is able to perform the following: battlefield surveillance, terrain mapping, and target identification. Promotional media for the Orion-E even showed what the operator’s user interface looks like. Reviewing the promotional media for the Orion-E shows these are deployed in units of six models with a single control station. When flown into combat an Orion-E’s role outside ISR is that of a long-range artillery spotter. An Orion carrying a modest payload has been tested by Konstadt Group but this hasn’t been shopped around yet. The airframe is too small and a larger engine is needed to support at least another 400 lbs of ordnance for carrying (hypothetical) Vikhr air-to-ground missiles together with lightweight bombs. But the Russian military has little use for armed UAVs in its warfighting doctrine and prefers its drones menacing and small. Maybe the Orion-E’s prospects are brightest with foreign customers who aren’t infatuated with Chinese models.